"In recent decades and especially in the beginning of the new century, we have witnessed a significant increase in security challenges in the world. We need to transform our resources and capabilities to be able to respond effectively to new challenges. " said, today, January 29, Deputy Defense Minister Augustina Tsvetkova at the opening of the international conference on the fundamental construction of the Crisis Management For Disaster Response Centre of Excellence. Deputy Minister Tsvetkova added that the effective implementation of a comprehensive approach requires close cooperation between all nations and key actors in the field of security, as no country could stand alone against contemporary challenges. Later, in front of representatives from the media, Deputy Minister Tsvetkova explained that the centre, which will work in the field of crisis management and disaster response, will have no operational tasks. It will train experts and prepare strategic documents that will be used by NATO member states and partner countries. "This landmark conference is crucial because it precedes the accreditation of the Centre by NATO" she added. The Deputy Minister further explained that the centre will employ about 50 experts - representatives from Bulgarian authorities, NATO member states and partner countries. The Centre will be funded by the participating nations. The participants were also welcomed by Jean-Dominique Duliere, Head of Crisis Response Systems and Exercises Section at NATO Headquarters. The opening was attended by Deputy Ministers from the Ministry of Interior (Dimitar Georgiev), the Ministry of Justice (Velina Georgieva) and the Ministry of Education, Youth and Science (Petya Evtimova) as well as by the President of the State Agency for National Security (Konstantin Kazakov) and his deputy (Dimitar Yordanov). 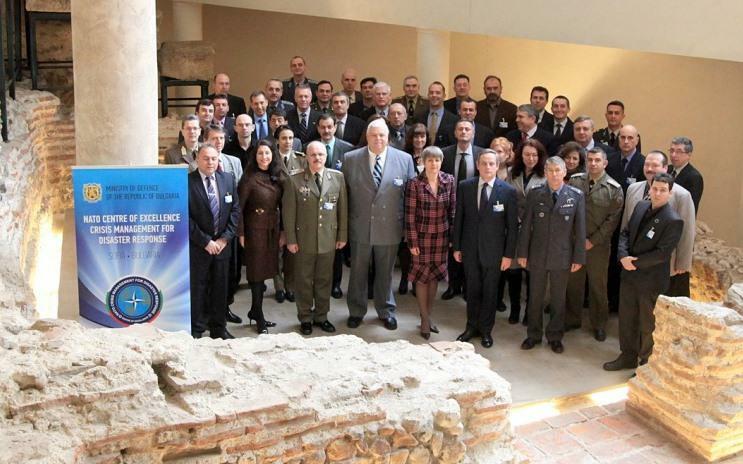 Representatives from ten NATO member countries - Croatia, the Netherlands, Greece, Hungary, Italy, Poland, Romania, Turkey, the United Kingdom and the USA took part in the conference. There were also representatives from the South Eastern Europe Brigade (SEEBRIG); The International Institute for Homeland Security, Defence and Restoration; Alion Science & Technology; the Bulgarian Academy of Sciences and other organisations. During the two-day forum, experts from ten NATO member states together with NATO HQ Allied Command Transformation reviewed the Concept on the functional relationships, development, administration and operations of the Centre. The Second MoU Conference will be held in Sofia 25-27 of March 2013.